GAU is first in the TRNC to be granted the accreditation of the leading accreditation institution of the world and Europe in English language education the Evaluation and Accreditation of Quality Language Services – EAQUALS. GAU is again deemed worthy to be granted to be a member of the EAQUALS, European Union world leading education institutions and world higher education institution, which only two of Turkey’s universities were granted place as members. 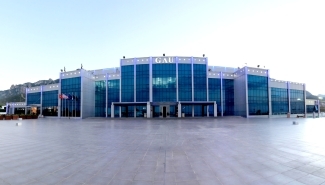 Thus GAU Foundation School is the second Turkish university and first in the TRNC for providing quality English language education. accreditor for English language education. Avşaroğlu also stated that; EAQUALS authorities have published a letter to inform the membership of GAU via the official website addressing TRNC thus this is a great success to mention. Avşaroğlu, stating that GAU is providing world standard English language education upon the EAQUALS accreditation, also underlined that GAU is providing an opportunity for the students to participate in GAU England – Canterbury Campus Foundation School and language courses in the homeland of the language with no extra fees. Finally Avşaroğlu mentioned that GAU Girne Campus Foundation School is providing EU standard and quality English language education upon the EAQUALS accreditation.